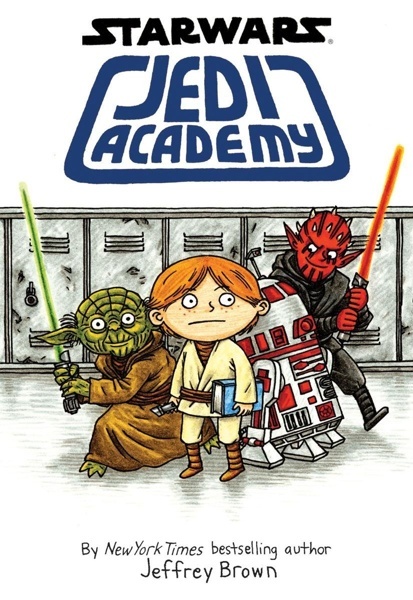 DOUG’S PICK :: STAR WARS: JEDI ACADEMY: You loved Jeffrey Brown’s Darth Vader and Son and couldn’t wait for Vader’s Little Princess, so of course you’re pumped to buy Brown’s newest Star Wars strip, Jedi Academy. You don’t need me to give you the hard sell, this book sells itself. But while you are in the store for this comedic masterpiece, why not check out some of Jeffrey Brown’s non Star Wars work? I loved his latest release from this past summer, A Matter Of Life– Brown’s semi-autobiographic look at religion, being a son and fatherhood. Another Brown favorite is I Am Going To Be Small; it’s a pocket-sized book full of laugh-out-loud single serving cartoons. I keep mine on the coffee table to read during commercial breaks during hockey games. Where will you read yours?